In a response to a forum post, I suggested a rules-based approach to removing plural terms from the Glossary tab in Flare HTML5 output. The sample I provided tackled a few common English rules. Rules are one way to approach the problem. Another way is to keep a list of items to remove or hide. 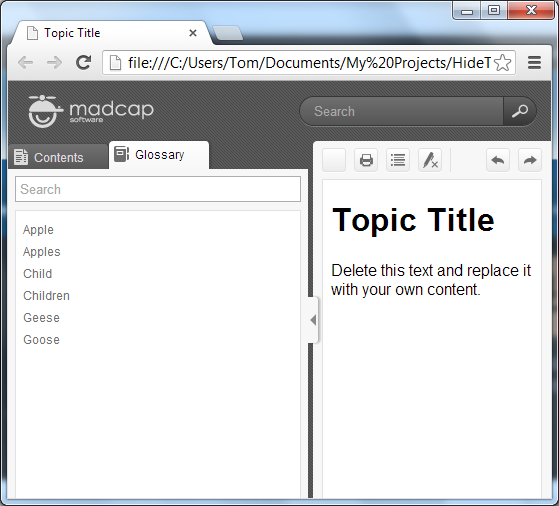 What follows is another example which hides three terms on a Glossary tab when the function in the example fires. 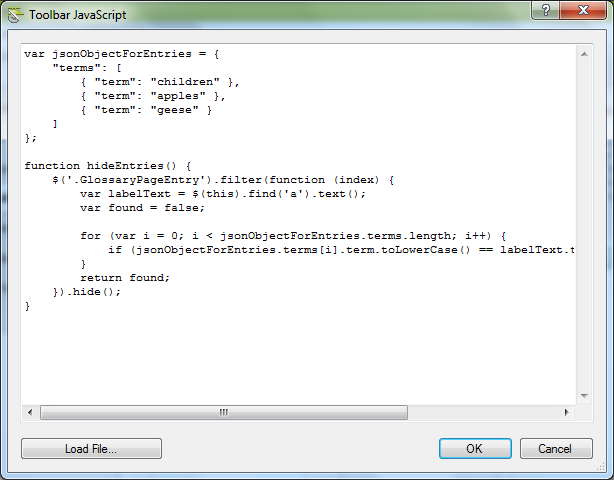 You can adjust the list of terms in the JSON object which holds the list of terms. You can also adjust when the function is called. 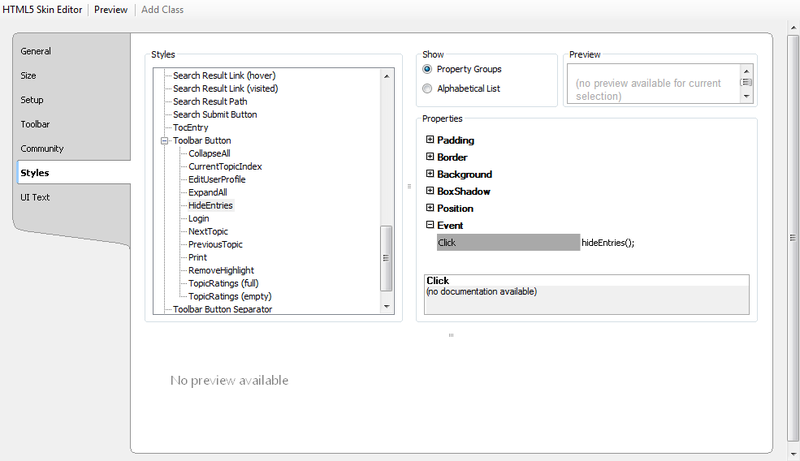 In the example project, there is a toolbar button. But you can add an event listener to some other object to call the function if you do not want to be tied to the toolbar. The sample project is configured as follows. There is a glossary with three glossary terms consisting of a plural term and a singular term: Child/Children, Apple/Apples, and Goose/Geese. 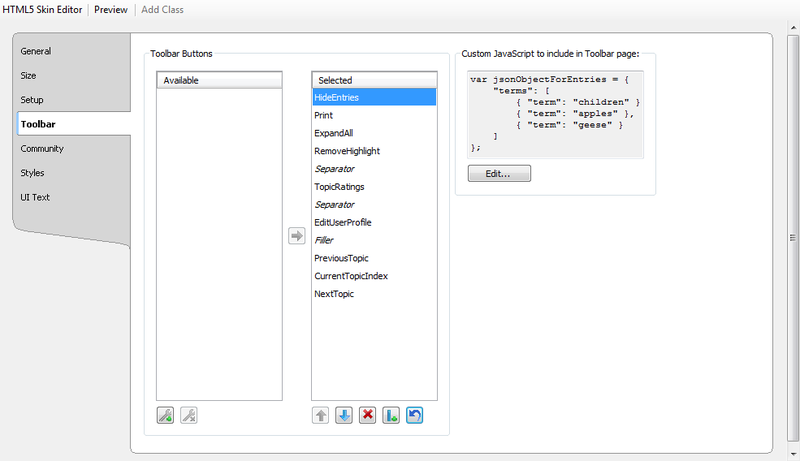 After the HideEntries toolbar button (the blank one) is clicked, the three terms in the JSON object are removed from the list.